Women who are pregnant will do whatever it takes to make sure that their babies come into the world healthy. Unfortunately, women don’t always know which prescription medications may be dangerous to their unborn children. There is list of drugs that can cause harmful side effects to infants, and Zofran is one of them. Zofran is a drug used to curb morning sickness. The FDA has recently learned that the medication can cause septal and orofacial defects, stillbirths, kidney malformation, and congenital heart defects. Here is more about what you can do if your child experiences symptoms. Design Defects: The drug poses a foreseeable risk that the company knew about but ignored, even when it is manufactured and taken as it was intended. Manufacturing Defects: There was a mistake made during the production of the medication. Warning Defects: The company knew about issues with the drug but failed to warn the public. When it comes to Zofran, the drug was originally approved as one to treat nausea in chemotherapy patients. GlaxoSmithKline, the drug’s manufacturer, illegally marketed the drug to medical professionals as effective for treating morning sickness. No two birth defect lawsuits are exactly alike due to the nature of these health concerns. There are still general factors to take into consideration when you file a lawsuit over a drug you took during pregnancy. 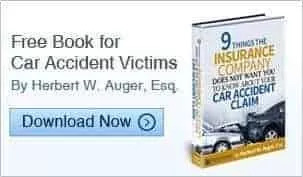 The first thing to know is that you may be able to file more than one type of lawsuit. Not only can you sue the drug manufacturer, but you may be able to file a medical malpractice claim as well. If a doctor prescribed teh drug for a purpose not approved by the FDA or did not warn you about the potential side effects, the doctor failed to perform with the acceptable standard of care. It’s also important to understand the statute of limitations. The clock starts ticking quickly, but it is specific to the type of claim you are making and the state you live in. If you or your child has been injured by a dangerous drug in North Carolina, call our team of medical malpractice attorneys. We will review the details of the injury and advise you of your options under current state law. Call now for a free case evaluation and discover how you may secure compensation for your injury.